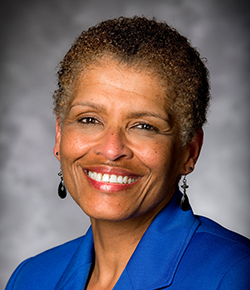 Yolanda Cooper became the university librarian at Emory University, Atlanta, on January 15, 2014. Prior to Emory she held an acting position as dean and university librarian at the University of Miami Libraries in the fall of 2013 and from 2006 to June of 2013 she was Deputy University Librarian at the University of Miami Libraries. Prior to joining the University of Miami Libraries, she served as the Associate University Librarian for Organizational Development at the University of Virginia Library in Charlottesville, Virginia from 2003 to 2006, and prior to that, she held two positions at Indiana University Bloomington Libraries from 1994 to 2003, the assistant to the dean, and the assistant dean for human resources. 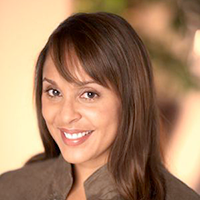 Yolanda has also held positions at the University of Northern Colorado and the University of Illinois. Yolanda holds a B.G.S. and a M.L.S. from Indiana University. In 2004 she was selected as a FRYE Fellow and attended the FRYE Institute in Atlanta, currently called the Leading Change Institute. During the past year, Emory University Libraries have continued to make excellent advancements in the development of distinctive collections, services, and facilities in support of the University's mission, and in our contributions to the teaching, research, and learning enterprise on the Emory campuses. Most significantly this has been a year of reorganization, renovation, and transition with the implementation of the new Library and Information Technology Services structure, the planning and development of new spaces, and the installation of new leadership. This report will outline of few of the year's highlights. In January 2014 under the leadership of the new University Librarian, the Libraries convened a new Cabinet structure and reviewed and outlined new reporting subcommittees. The Libraries' Cabinet is chaired by the university librarian and is the primary decision-making and governance group for the Libraries. The membership is composed of the directors of the Woodruff Health Sciences Library, the Goizueta Business Library, the Oxford College Library, the MacMillan Law Library, the Pitts Theology Library and the senior managers in the Robert W. Woodruff Library. Its primary purpose is to direct the strategy and operations for the Emory Libraries in support of Emory's mission. The Libraries' areas of responsibility were also expanded as a result of the most recent reorganization. Academic Technology Services (ATS), consisting of ATS Student Services and Faculty Services, is now under the oversight of the Libraries. This new placement in the organization allows for a number of service opportunities that we will explore in the coming year, which will include the development of a solid integration of faculty and student services across the LITS organization. With the reorganization in place we have recently initiated a search for a director of ATS to assist progress going forward in our goal to provide the best possible resources, services, and tools for Emory faculty and students. 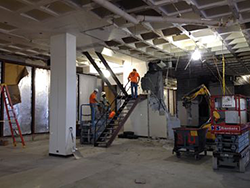 In an effort to develop new work and study spaces and to enhance already existing spaces, the Libraries began the renovation of the Manuscripts, Archives and Rare Books Library (MARBL). The newly renovated MARBL will debut in the fall of 2015, with an expanded reading room, dramatic vistas of Emory University and the Atlanta city skyline, interactive exhibit spaces, technologically advanced classrooms, and beautiful gathering and event spaces. 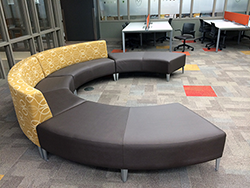 The second floor of the Woodruff Libraries Learning Commons also received a facelift with a renovation that included comfortable and flexible furniture to encourage collaboration, and a reduction in fixed workstations to encourage the use of mobile devices. The renovation increased the number of seats and the presence of power outlets built into the furniture, allowing students to charge their devices anywhere in the Commons. Enhancements also included group study room upgrades that enabled students to record presentations and reserve the room up to 14 days in advance online. Other highlights include the relocation of the Emory Center for Faculty Development and Excellence (CFDE) to Woodruff Library Suite 216, and the creation of the Emory Center for Digital Scholarship (ECDS) on the third floor of the Woodruff Library. We hope this new location will encourage collaboration across areas and provide easy access to these services for the campus community. As one of our primary objectives, the Libraries' subject specialists and curators continued over the academic year to build distinctive collections to preserve our intellectual heritage and advance the discovery and transmission of knowledge. MARBL, the manuscript, archives, and rare books library, continued to expand its distinct collection strengths and support engagement with primary sources with a list of impressive acquisitions, including papers, books, and photographs from Natasha Trethewey, Nate Mackey, Tom Wirth, Langston Hughes, Countee Cullen and Dianora Niccolini. To encourage collaboration and expand space for the preservation of print materials, the Libraries are currently in the planning stages for the construction of a new Library Service Center (LSC). The LSC is a collaborative project between Emory University and the Georgia Institute of Technology, which once constructed will house a shared collection and provide robust service and optimal space for present and future library growth essential to both Emory and Georgia Tech. Construction will begin this fall with completion set for fall 2015. The Libraries also continue to enhance digitization efforts to preserve and provide access to collections for future generations. One such project is the African-American scrapbooks grant project, funded by Save America's Treasures and the National Endowment for the Humanities (NEH). An enhanced user experience continues to be a key focus of the Libraries virtual presence and services. With this in mind, over the past year the Libraries implemented a project to redesign library web sites across the LITS organization to create an improved, customer-focused experience. The search, discovery, and delivery systems for the Libraries’ resources were also upgraded and continue to receive attention to improve search results for the Libraries Core Systems Group. To assist in the development of an infrastructure for expanded digital development, in January the Libraries convened a Repository Working Group. The Group's charge is to gather information and develop documentation to assist in the development of a digital library program to preserve and deliver the University's digital assets electronically. Recommendations will be reviewed this fall with the intent to begin implementation at the end of 2014. Our efforts to enhance infrastructure also include the implementation of a new Course Reserves system to enhance instructor tools used to reserve materials for their students, and also continued service improvements for Blackboard, which included enhanced PeopleSoft integration, usability improvements, better support for self-service, and the creation of a robust community of practice in support of instructional technologists and designers. 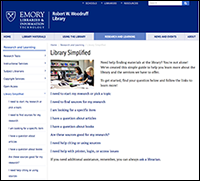 The Library debuted a "Library Simplified" research help page to assist new Emory students. The page assists those who are new to college-level research to find answers to their specific questions. The Scholarly Communications Office (SCO) now manages the Electronic Theses and Dissertations (ETDs). Goals for the coming year include raising the visibility of Emory's ETDs and improving the submission process for students. The SCO also supports and assists in the launch of open access initiatives with advice and funding for publishing. This past year the Open Access Publishing Fund supported the publication of 13 open access articles by Emory faculty and students. The Emory Open Education Initiative supported the exploration, use, and creation of open educational resources for 8 faculty members. The Woodruff Health Sciences Center Library (WHSCL) participated in the development of a publication reports service and system that will provide annual reporting documents highlighting faculty research publications and measurements of impact. These reports include publication numbers, citation counts, journal impact factors, co-authorship analyses, and career H-index reporting. Participating departments include the Department of Pediatrics, the Department of Medicine, the Department of Surgery, the Emory Transplant Center, the Nell Hodgson Woodruff School of Nursing, the Hubert Department of Global Health, and the Rollins School of Public Health. The WHSCL also serves as the campus entity to assist researchers with the NIH Public Access Policy, assisting over 200 Emory faculty and staff over the past year. The Emory Coursera team guides faculty members from course development to implementation, specifically providing support in the areas of instructional design and content development, video planning and production, assessment creation and best practices for online instruction. The team also works closely with Coursera to ensure the effective utilization of tools available within the learning management system. 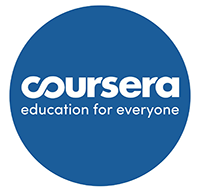 After the completion of an initial round of three Coursera courses, which served more than 50,000 learners, the Coursera initiative expanded in October 2013 with the addition of three new team members. The Faculty Advisory Committee for Online Education approved six new MOOCs (massive open online courses) for the 2013-2014 school year. External educational initiatives were also developed by the Emory Center for Digital Scholarship (ECDS) and the Emory Libraries. In partnership, both sponsored and hosted a summer institute for digital scholarship to assist Historically Black Colleges and Universities (HBCU) librarians in learning more about digital tools for blogging, compiling online exhibits, and creating mobile tours. The Institute was a pilot initiative to encourage collaboration and sharing of expertise, resources, and tools across institutions. Community outreach included participation in the Decatur Book Festival. The Libraries' Campus and Community Relations staff traditionally takes the lead in organizing the Emory presence as a Platinum Sponsor of the Decatur Book Festival. This includes participating in overall festival planning, recommending Emory authors to speak, suggesting Emory staff and faculty to introduce sessions, and collaborating with ten cross-campus partners to organize Emory's presence in a tent in a prominent festival location. Other offerings to the campus and broader community for the past year include a number of exhibitions drawn from the Libraries' collections, including "When the Emory Unit Went to War," in the Woodruff Health Sciences Center Library, "The Music of What Happens," celebrating the life and writing of internationally acclaimed poet Seamus Heaney in the Robert W. Woodruff Library, Schatten Gallery, and "He Had a Hammer: The Legacy of Hank Aaron in Baseball and American Culture," in the second floor of the Robert W. Woodruff Library. "We are very grateful to the library for working with us to bring our collection of books on the Scholarship of Teaching and Learning into the main library catalog. This will help faculty looking for such literature and registers CFDE’s work in an important venue. Such collaboration also continues the ongoing synergies with the library and CFDE, which have been enhanced since CFDE’s move to Woodruff in February 2014."